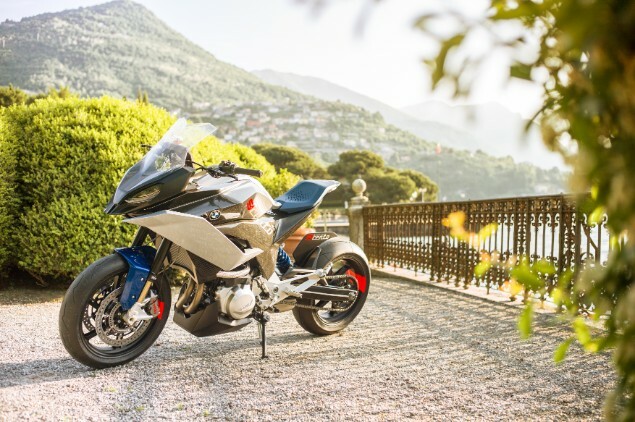 BMW has shown this 9cento concept bike at the annual Concorso d’Eleganza Villa d’Este which is one of the swankiest of all the world’s motoring events. It’s pitching the concept bike as a new form of all-rounder that can change between a focussed sporty ride and then be converted to a touring bike thanks to integrated and removable storage boxes that be added to increase the size of the pillion seat and give luggage space. 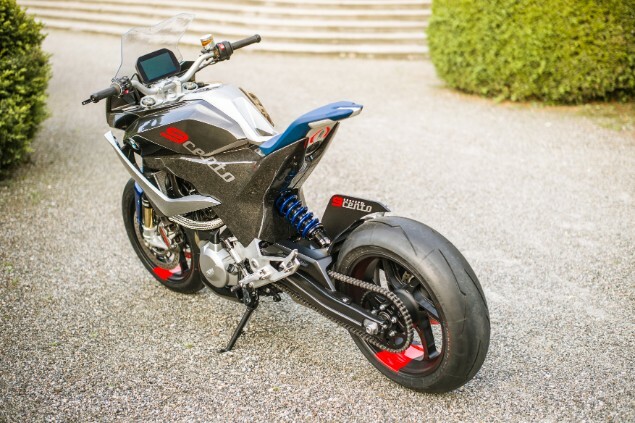 The 9cento isn’t a real bike yet but just the latest in a line of concept bikes that BMW has revealed at the same event in Italy and all of those, bar a couple, have led to a production bike within a few months. This bike looks very much like it might be previewing the arrival of a smaller-capacity brother to the S 1000 XR; perhaps we are going to see an F 900 XR later this year? It certainly makes sense as bikes like the Yamaha Tracer 900 and Ducati Multistrada 950 model are selling well in a mid-range road touring class. The 9cento – pronounced ‘nove cento’ – uses the new parallel-twin engine used in the new F 850 GS model but BMW hasn’t given any details about the engine at this stage. 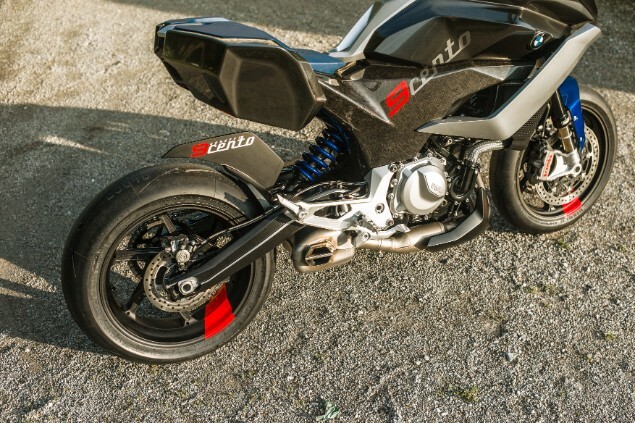 They have given some details about other elements of the bike though and that includes a Carbon Fibre Reinforced Plastic frame sections for strength but lighter weight. “We’ve created a bike that combines the appropriate power with reliable sports touring properties and above all lots of riding fun, so it’s an attractive overall package. It brings together the best of the sports, adventure and touring segments to produce an exciting concept – in a class which has not seen this kind of model from BMW before. Since 2013 BMW Motorrad has used the Villa d’Este event to show off a new concept bike every year; starting with the Concept Ninety which went on to become the R nineT production bike. That was followed by the Concept Roadster in 2014, the Concept 101 in ’15, the R5 Hommage in ’16 and the Concept Link scooter in ’17.